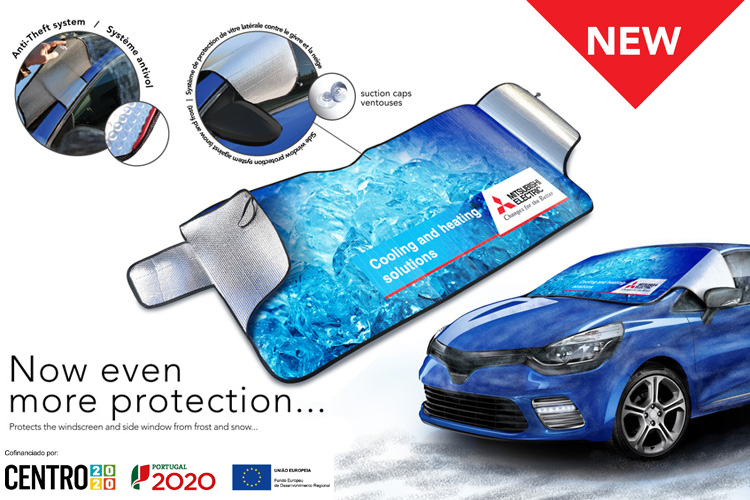 R3D’s Wintershade ABAS PLUS 200 x 70 CM is made with aluminium PET on both sides and Air Bubble in the center ( 85% recycled material) and is finished by non-woven ribbon and it has some side stripes to offer more protection of the car windows. It has 2 suction cups to better help to hold it inside the car doors to assure side windows protection and includes an anti-theft system. Possible to have Full Colour Print ( photographic quality ) or Silk Print ( direct flat colours ). The ideal protection and publicity in your car for the all year long.